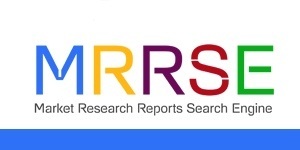 Albany, USA, 2018-Jun-19 — /EPR Network/ —A fresh report has been added to the wide database of Market Research Report Search Engine (MRRSE). The research study is titled “Global Market Study on Connected Homes: Energy and Utilities Management Segment by Functionality Estimated to Cross US$ 34 Bn in Valuation by 2026 End” which encloses important data about the production, consumption, revenue and market share, merged with information related to the market scope and product overview. The report anticipates that Connected Homes Market would rise at a positive CAGR during the period 2017-2026. The report outlines the factors that are likely to shape the global connected homes market during the assessment period. The broader developments with respect to technological integration and interconnection of various appliances is likely to promote the growth of the market during the assessment period. Pervasiveness of IoT and advancements in home technology are some of the other key factors that are likely to boost adoption during the assessment period. According to the report, North America is likely to remain the most lucrative market for connected homes during the assessment period. The market in North America is likely to witness steady growth in the US, whereas Latin America is projected to witness highest CAGR during the assessment period. On the basis of functionality, smart appliances is likely to remain one of the dominant segments during the assessment period. Among laptops and smartphones, the adoption will be higher in smartphones owing to ease of use and easy connectivity. By homes, villa/bungalow is likely to remain the dominant segment, and is projected to reach a valuation of over US$ 70 Bn by the end of the forecast period. The report segments the global connected homes market into type of homes, platform, and component. The type of homes segment is further sub-segmented into villa/Bungalow and apartment. The platform segment is categorized into home gateway, laptops, and smartphones. The component segment divides the global market into managed services, professional services, HVAC solution, kitchen solution, energy management solution, home healthcare solution, entertainment solution, security solution and lighting control solution. Geographically, the market is divided into key regions globally which are North America, Latin America, Europe, Asia Pacific Excluding Japan, Middle East & Africa and Japan. The report profiles some of the leading players operating in the market. Some of these players are Ericsson AB, Siemens AG, Schneider Electric Se, ABB Ltd., General Electric Company, Honeywell International, Inc., United Technologies Corporation, Legrand S.A., Johnson Controls, Inc. and Samsung Electronics Co., Ltd. These leading players are focusing on developing innovative solutions to leverage the projected opportunities in this landscape. The global connected homes market research study covers competitive landscape that includes market shares, revenues, growth strategies applied, product portfolio analysis, distribution channels, expansion in several geographies, marketing strategies, SWOT analysis, pricing analysis, etc., of the various key players in the global connected homes market. Such an intelligence framework can be used to gain competitive advantage in the long run, especially helpful for new entrants in the connected homes market.